Allergen Information: Contains Wheat, Sesame. 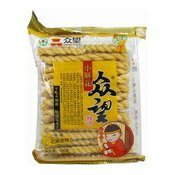 Ingredients: Wheat Flour (84%), Palm Oil, White Granulated Sugar (3%), Sesame (3%), Salt, Acidity Regulator (E500ii), Anti-oxidant (E321), Sweetener (E961), Sesame Flavouring (0.5%). 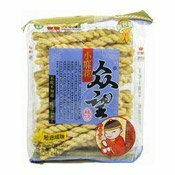 Simply enter your details below and we will send you an e-mail when “Fried Dough Twists (Sweet Sesame) (芝麻小麻花)” is back in stock!